Now celebrating 6, 470 listeners …and growing one listener at a time! Take the Listener Challenge! Click here for details and stat updates. This is the eighth in an ongoing series featuring worldwide creative-thinkers’ responses to questions about creativity posted previously on this site. What you do and what product(s) and/or service(s) you offer that developed as a result of your passion. I am an artist and creative spirit. My passion is to inspire people to embrace who they are through the vehicle of their creativity. I have had a book published – Journal Bliss: Creative Prompts to Unleash Your Inner Eccentric (North Light Books). 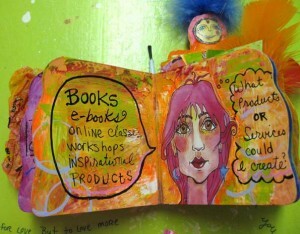 From there I created a couple of online classes on Visual Journaling. I’m in the process of creating self-esteem kits for teens. I also teach visual Journaling to teens and women. 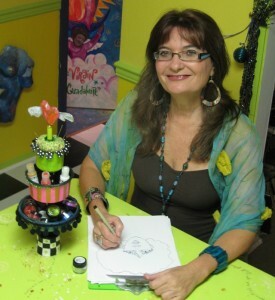 I have been teaching workshops – in different art forms for 30 years. 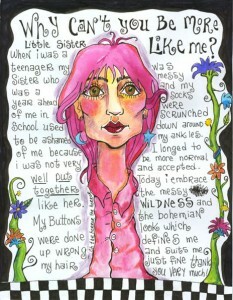 Right now I’m focusing on teaching Visual Journaling/mixed media to teens and women. How you came about to create it or them? How did I come to create them? Well the path to my book Journal Bliss was not an easy or quick one. First I had my art and projects published on online zines, and then on physical magazines. Then from there to paper arts magazines like Cloth Paper Scissors, Somerset, Altered Couture, Haute Handbags, etc. The book opened doors which led me to create online classes. As for teaching workshops I have been doing this for 30 years in some shape or form artistically. Regarding my online classes I had to teach myself how to shoot video and how to work in Indesign (so I could create PDF files). It’s been a big learning curve for me. I am fortunate to have a partner who is a techie so he can help me along the way. My target market is women between the ages of 40 and 65. However, I’ve had folks as young as teens interested in my work (as is evidence from the workshops I am teaching) and women into their 70’s. recently called my therapist (from the past) and given her my self-esteem kit to see what she thought of it – she now might have me teach a class on self-esteem using art. joined Toastmasters so that I can go out and do some public speaking on creativity which will enable me to sell my books and products after the talks. created short YouTube videos to promote my book and 2 online classes (I also have a third class) I am sure I’m missing something. 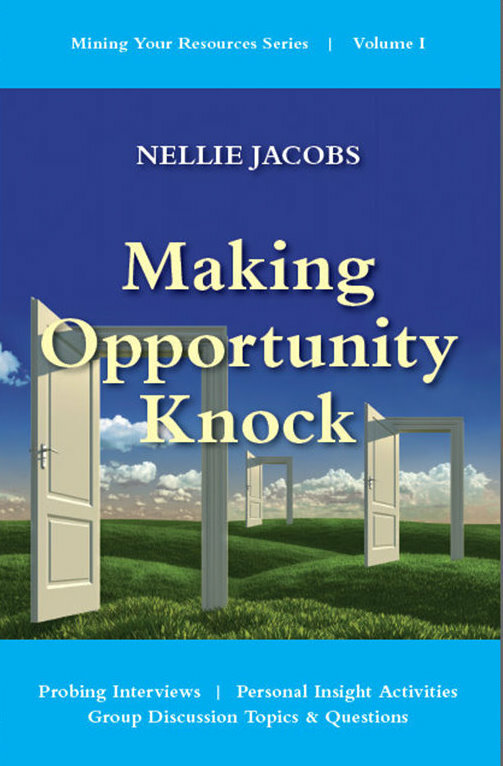 To listen to archived Igniting Imagination with Nellie Jacobs broadcasts, click here. Do you want to share your creative story? Click here to send your answers to the above questions. Nellie’s artwork and photography are also available for sale on many products. Click here to view. This entry was posted in creativity and tagged art, BlogTalkRadio, creative thinking, creative urges, creativity, entrepreneurs, Igniting Imagination, innovation, mining creativity, opportunities, possibilities, talk radio show, Violette Clark. Bookmark the permalink. 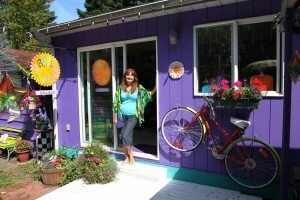 Pingback: Violette's Creative Juice » Blog Archive » I am grateful………..